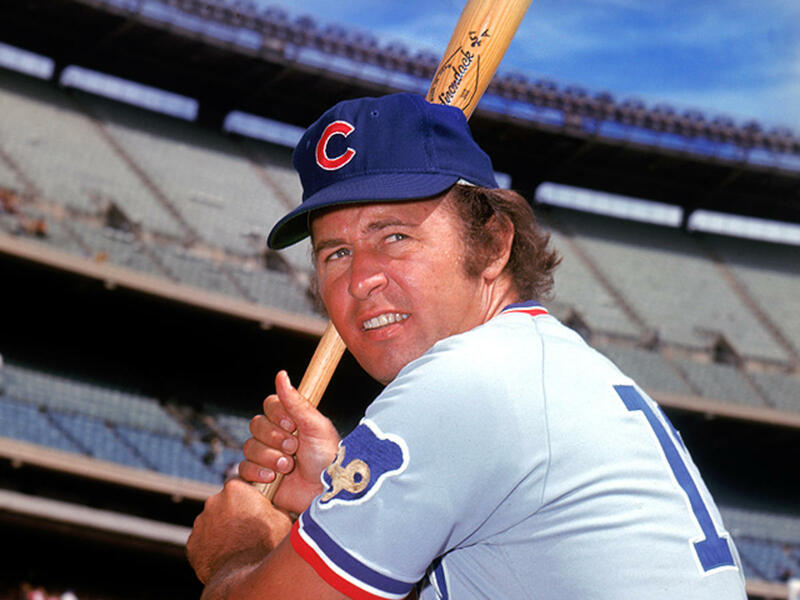 Chicago Cubs third baseman Ron Santo knew he was a great ballplayer, but when it came to his diabetes, he didn't think he was extraordinary. On a hot August afternoon in 1967, Chicago Cubs player Ron Santo walked up to the plate at Wrigley Field and saw three Bill Singers, a pitcher with a fierce fastball, staring back at him. Santo had Type 1 diabetes, and his blood-glucose level had dropped suddenly. Now the world was in triplicate. It was the bottom of the ninth, and the bases were loaded. The Cubs trailed the Los Angeles Dodgers, 2-0, and 20,000 fans were cheering for a hit. Santo looked at the trio of Singers and focused on the middle one. The first pitch blazed toward him “looking like it was attached to a Slinky,” Santo recalled in a 2003 essay in Guideposts. The ball soared out of the park, becoming one of his six career grand slams. Once off the field, he downed orange juice and ate three candy bars. 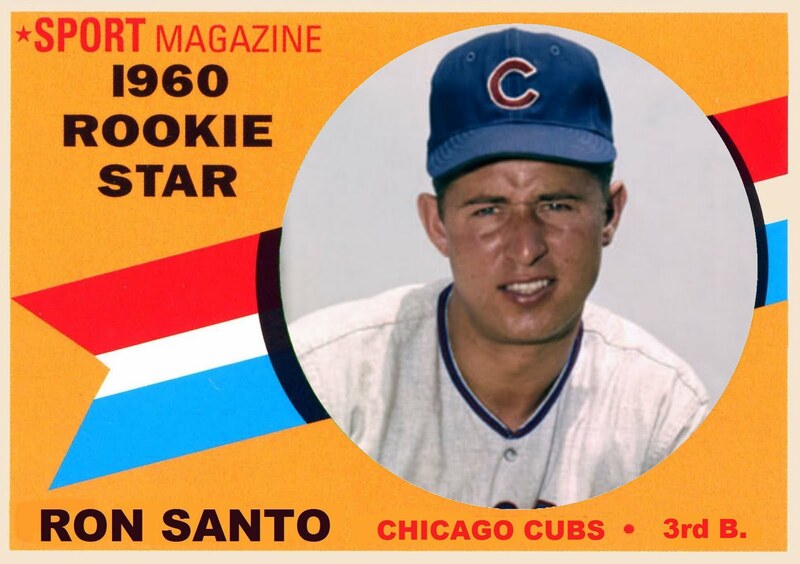 “Then I went into the clubhouse, and my teammates and the reporters were waiting for me and I could barely talk — your brain quits working,” Santo said in a profile in the Chicago Reader in 2000. Remarkably, this was one of the only times Santo had a diabetic reaction on the field. In his rookie year, Santo kept his diabetes secret from his teammates. When Santo’s doctor diagnosed him with diabetes in 1959, he was 18 and had just signed a pro contract. His one concern: Can I still play baseball? His doctor wasn’t convinced he’d make it through his first season in the minor leagues, let alone the majors. After receiving this prognosis, Santo walked to the library for the first time since grade school and read up on the disease. What he discovered was far from reassuring. In Type 1 diabetes, known then as juvenile diabetes, the body’s immune system mistakenly attacks and destroys insulin-producing cells in the pancreas. Insulin is a hormone that signals cells to absorb glucose from the bloodstream for energy. Without it, excess amounts of sugar accumulate and cause vascular abnormalities and nerve damage, which can lead to blindness, kidney failure, hardening of the arteries, gangrene, and limb amputations. He also read that the average life expectancy at the time was 25 years after onset, and he couldn’t find any reports of other diabetic athletes. “At that point, I said to myself, ‘I’m going to fight this thing and beat it.’ That’s how badly I wanted to live and be a big league ballplayer,” he told The Chicago Sun-Times in 1990. He headed to training, determined to keep his sugars down through diet and exercise — and his diabetes a secret. In the winter of 1961, Santo lost 22 pounds in three weeks, had to urinate constantly, and felt terrible pain in his right leg. A doctor told him that if he didn’t start taking insulin, he could lose the leg. Within three weeks of starting insulin injections, his strength began to return and he regained 15 pounds. Later in his career, Santo was open about his Type 1 Diabetes, raising awareness for the condition. The injections made his secret increasingly difficult to keep. When he reported to spring training in 1962, Santo told the team physician about his diabetes and asked him to keep it to himself. He also eventually confided in his roommate, catcher Cuno Barragan, who became another set of eyes, watching out for when Santo turned pale. But he still feared that management would attribute any performance slump to the disease, and he wanted to prove that he could play baseball in the big leagues before telling them. These were the days before glucometers and Santo had to monitor his blood sugar level by feel. According to the Chicago Reader, “Trying to juggle insulin injections with time zones, cold April nights, hot August days, extra innings, and late meals made that first year terribly difficult.” He batted .227, and he led National League third basemen in errors. That’s okay, Captain. Let’s play ball. His fellow players were unfazed, but Santo continued to keep the disease secret from the public until 1971. 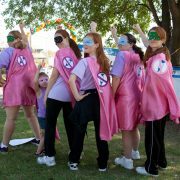 That year, he also started his decades long work to help raise awareness for Type 1 diabetes. 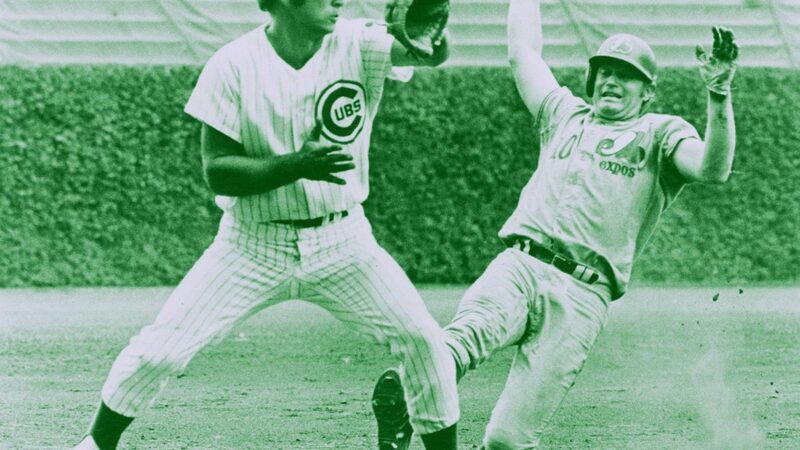 A few years later, he joined the board of the Juvenile Diabetes Research Foundation, and together they began the annual Ron Santo Walk to Cure Diabetes, which raised more than $40 million during his life. “It’s funny. I always thought I’d make my biggest mark as a ballplayer, but it was after I started speaking up about diabetes that I really made a difference,” said Santo in his Guideposts’ essay. After 15 major league seasons, a 34-year-old Santo retired as one of baseball’s greatest third basemen, finishing with a .277 career batting average, 342 home runs, 1,331 runs batted in, and five Gold Glove Awards. He also set a record among third basemen for most games played in a season and most consecutive games played. In 1990, Santo returned to Wrigley Field as a color commentator for the Cubs alongside play-by-play announcer Pat Hughes. After decades of hiding a big part of his life, he became known for his inability to hold anything back. He was the fans’ emotional id, groaning “Oh, nooo!” into the microphone when a play went awry and shouting “Yes! Yes!” with equal vigor when things went well. During these years, Santo’s diabetes began to catch up with him. He had heart attacks and underwent a quadruple-bypass surgery. In 2001, his right leg was amputated below the knee, and he lost his left leg the following year. Santo is immortalized with his own statue in Chicago. After each surgery, he returned to the commentator booth. The word “inspiring” comes up a lot when former players and sports writers talk about how Santo dealt with his diabetes. That’s not how Santo saw things though. He knew he was a great ballplayer, and believed he should join the ranks of teammates Ernie Banks, Ferguson Jenkins, and Billy Williams in the National Baseball Hall of Fame. But when it came to his diabetes, he didn’t think he was extraordinary. [Santo] knew he was a great ballplayer… but when it came to his diabetes, he didn’t think he was extraordinary. Santo died in 2010 of complications from bladder cancer. 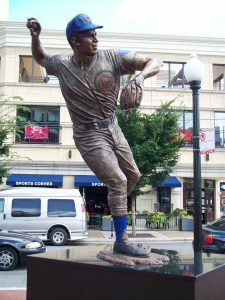 The following year, he was inducted into the Hall of Fame, and the Cubs unveiled the Ron Santo statue outside of Wrigley Field. The bronze likeness captures him in motion, throwing a ball to first base.